The speed of traffic travelling through Hoton has long been a concern of residents, and therefore, of the Parish Council. Whilst this is the responsibility of Leicestershire County Council, their funds are allocated to higher priority areas, so the Parish Council continues to take what action it can to address this issue. 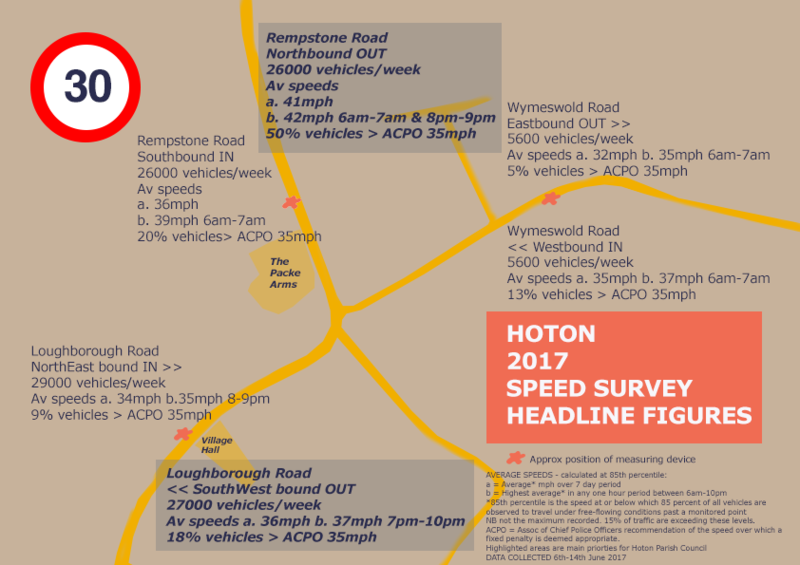 Earlier in the year, the Parish Council commissioned a speed survey to be conducted on the three main entrances and exits to Hoton; Loughborough Road, Rempstone Road and Wymeswold Road. This survey captured the speeds of vehicles travelling in both directions at these locations over a period of a week and has produced some interesting and useful data. The Parish Council can use this data as a baseline for the speed of traffic as well as to identify priority areas.